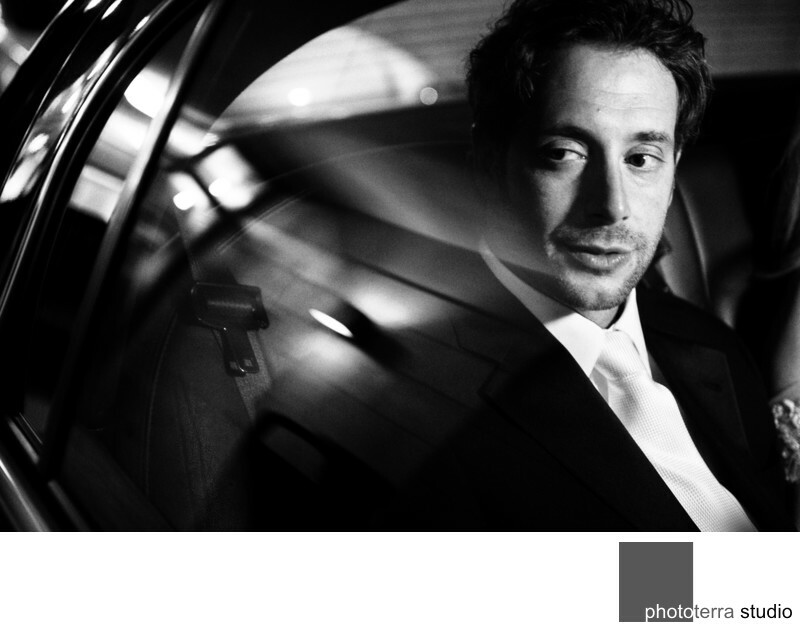 To get creative with groom portraits try photographing him inside a limousine before he heads off to his next destination. Photographed in Montreal Quebec on our way to the ceremony Michael Greenberg tried a few frames with an off-camera flash on camera-right. It was actually quite dark as the limo was underneath a shaded area. An off-camera flash created a more dynamic portrait with the lighting that added depth and contrast to the image. It also captures groom's mood as he ponders about his wedding day and future with his beautiful bride.